Every couple of months our Managing Director Roddy Sheridan flies to Antwerp to source the beautiful diamonds that are incorporated into your rings. With each visit we know exactly what we are looking for, due to special requests from customers and a list of what we need for our inventory. Built in the 1890s Antwerp mainly comprises the S-shaped district Shupstraat and Hovenierstraat. It established itself as the diamond heart of Europe after an influx of diamonds during the late 19th century. But there was an interlude during World War 2 when the diamond trade was hit hard. 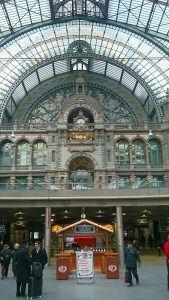 Following this period, Antwerp was reinstated to its former status and business was booming once again. Arrival: A fter arriving in Antwerp I tend to stay overnight in a hotel and do some networking at a dinner in the evening. While we have built on-going relationships with traders, we are always looking to forge new partnerships. During this particular trip, for example, I met a diamond polisher who can improve the cuts of a variety of diamonds. I spend the entirety of the following day at meetings we have set up with diamond traders in advance. On average, I will meet between 5 -15 diamond dealers per trip. There are a variety of specialists present throughout the district. For example, some businesses have a very particular niche, focussing on for example round brilliant cut or fancy shape diamonds. Others have expertise in coloured precious or semi-precious stones. 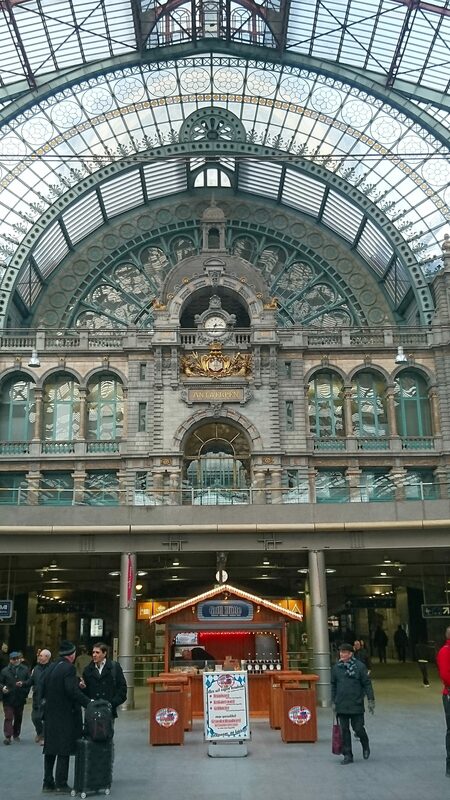 Their collective niches make this impressive district Antwerp’s strength in the global market. 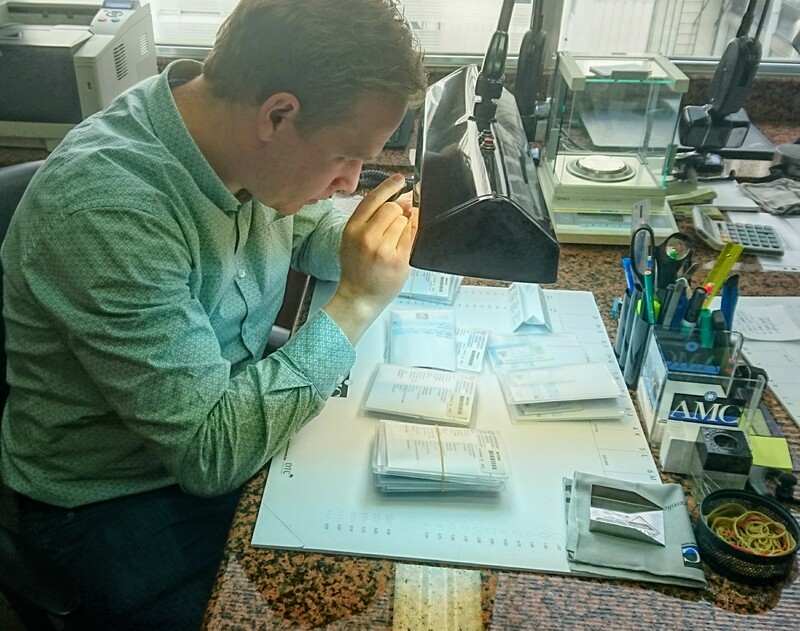 I use whatever time is necessary to grade the correct diamond for our customers. There may be multiple small loose diamonds I have to grade and can be a laborious process. It is all worth it to get the best for our clients. 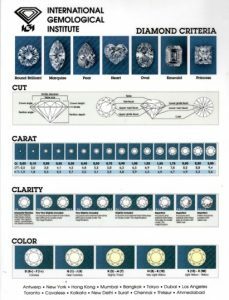 How well is the diamond cut? We consider the proportions, polish and symmetry carefully. Each facet (seen in the image above) should reflect and refract when the light hits it. A bad cut will see light escaping through the bottom of the diamond – what we seek is a cut that allows light to travel through the crown and pavilion and bounce back out of the stone. This gives the diamond life and sparkle. The mass / weight of the diamond is measured in a unit known as carat. The larger the mass the larger the carat weight. However, we always recommend making quality a priority over quantity. The carat is just one factor among the other Cs. We want to make sure the diamond is ‘eye clean’ -meaning there are no flaws visible to the naked eye. Here I am looking for the whitest diamond. 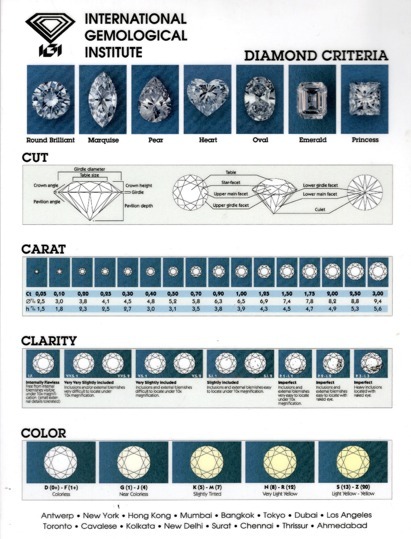 At Blair and Sheridan we primarily stock colourless or near colourless diamonds. It is best to avoid diamonds that have a slight tint to them. Sometimes I stay for a third day, more or less repeating day two again. I will do this if we have not yet found everything we need for our customers and the shop. Then, it’s time to put my feet up for a minute and fly home! Remember, you want to select a diamond that has been awarded a good overall grade using the 4 Cs . Quality over size is better and will give you a much livelier diamond in your bespoke item of jewellery from Blair and Sheridan.